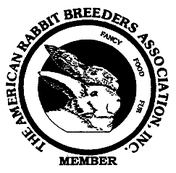 The following links are some of the friends of Edelweiss Ranch & Rabbitry. Links are listed alphabetically. If you find a dead or incorrect link please contact me. Breeder of Rex in Poulsbo, WA. Breeder of Netherland Dwarf and Czech Frosty rabbits. Swiss Oberhasli goats, Bielefelder chickens, meat mutt rabbits, and garden. A little blog about a little family trying to homestead in the suburbs and be as self sustainable as possible. We are a family in WA discovering small scale homesteading. German Angora, Polish & Rex, dairy & more! Quality tattoo pens and supplies for your animal (livestock) tattooing needs. Puget Sound Photography strives to capture and deliver the highest quality photographs for our clients, while focusing on the genuine moments of life that are often intangible and fleeting. We promise to give the utmost level of service to each client, while respecting individual needs. Our hope is to develop a personal connection that supports an ongoing and long-lasting working relationship. Fresh roasted and blended arabica coffee. Raising Silver Fox and Rex rabbits. Breeder of Champagne d'Argent, Argente Brun, and Beveren rabbits on Camano Island. Breeder of Rex, Silver Fox and Mini Lop rabbits. Thistle & Weeds and Accio Player 3 Bakery and Sweets are a small urban homestead, rabbitry, and bakery. We pride ourselves on focusing on local sourced, sustainable ingredients, home raised meats, and gardens. We raise Rex of unusual colors (Silver Marten, Tort), and Otters of all colors. We also raise Cochin Chickens and grow our own herbs and fruits. Pork, pigs, pork/pig items, eggs, Natural Farm Feed co-op, Custom t-shirts & crafts. Our animals are fed non-gmo, corn free, and soy free feed. Pasture raised, chemical free animals. ​YarbWorks features homemade herbal remedies, and culinary concoctions from wildcrafter Amanda Ramsey. YarbWorks' products are pesticide-free and grown on Amanda's PNW farm, foraged locally, or purchased from local farmers and other fair trade, sustainable sources. ​Custom orders also available.​​ ​Amanda is also available to consult on special diets, allergies and food sensitivities, recipe modification, foraging, holistic healing, and more.